A two-week drill of the Israel Defense Forces’ Northern Corps ― nearly a year in the making ― involved some 20 brigades, air power from all Israeli Air Force bases, the bulk of the Israeli Navy surface and submarine force, and more. TEL AVIV, Israel ― After-action analysis from last month’s massive drill at Israel’s northern border has validated, with very few exceptions, more than a decade worth of development, deployment and operational procedures associated with the military’s cyber-secure, C4I-operational network, the military’s chief signal officer said. He was referring to last month’s drill of the IDF’s Northern Corps ― the largest in nearly 20 years ― designed to simulate extreme scenarios of war against Iran-armed and –trained Hezbollah forces beyond its northern border. More than 25,000 active-duty and reserve forces from all service branches, combat disciplines and command echelons took part in the two-week drill, which involved cross-border infiltration, high-intensity ground maneuvering in urban areas, and sustained salvos of enemy rockets and missiles directed at the Israeli homefront. Cohen also serves as chief of staff of the J6 C4I and Cyber Defense Directorate of the IDF General Staff with responsibility for developing, deploying, operating and defending C4I networks (command, control,. communications, computers and intelligence). 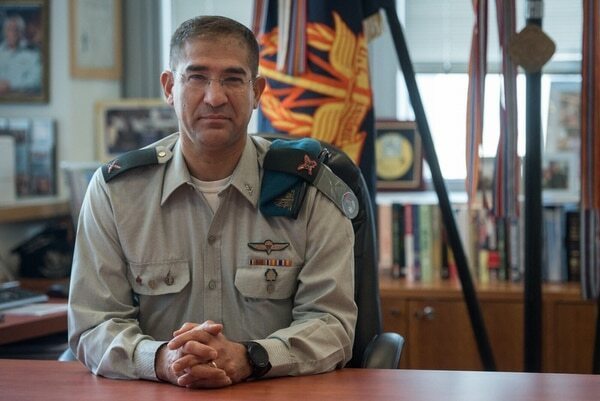 In a recent interview, he said the drill marked the first opportunity for the IDF to test its multilayered, cloud-supported networks in such large numbers and across all combat and command echelons. While Israel demonstrated many of the integrated C4I capabilities in Israel’s 2014 Gaza war ― particularly with regard to closing so-called sensor-to-shooter cycles by way of the networked operations ― the drill marked the first time the IDF could evaluate technologies, tactics and procedures on such a broad scale. “It was the first time we managed to connect a broad portion of our order of battle and all fighting echelons deployed in the field on the same secure net,” Cohen said. “We validated that every ground-fighting platform had the ability to connect to the network. Beyond command and control of targeting operations, Cohen said the drill validated IDF inroads in using organizational networks to manage logistics. It also provided an opportunity to demonstrate in-house-developed support clouds for the IDF High Command as well as a tactical cloud for maneuvering forces. Going forward, the IDF plans to expand significantly on cloud-supported command, control and prosecution of war aims, he said. “We have a maneuvering cloud that doesn’t stay back with the infrastructure; it all the time maneuvers with the forces. And within the battalion, the commander knows how much ammunition he has via an organizational network that allows him to more efficiently command his battalion,” Cohen said. As for cyber defense, Cohen said the IDF’s C4I branch deployed a “red team” of crack hackers whose mission was to penetrate or otherwise contaminate the IDF’s operational network. “We had a full red team that challenged us immensely during the fog of war. It helped us validate with precision our strong points as well as our vulnerability points,” he said. “There’s a lot we learned from the drill in terms of simultaneously operating with many networks and how to broaden capacity, which is our biggest challenge,” he added. Cohen acknowledged that after-action assessments pointed to “some challenges with capacity and connectivity, where we needed to make patches here and there.” One of the skill sets demonstrated in the drill was the ability to conceive of ways to “working around” gaps revealed during the fight. “We couldn’t have tested the system and learned the way we needed to learn without such a large-scale drill,” Cohen said.